What is a provisional cast-on? It's a cast on which leaves live stitches at the edge. There are a few situations where you might want this set up for your knitting. Sometimes you want to be able to knit in the opposite direction. Many designs use multi-directional methods. I use a provisional cast on for garter stitch tab shawl starts. 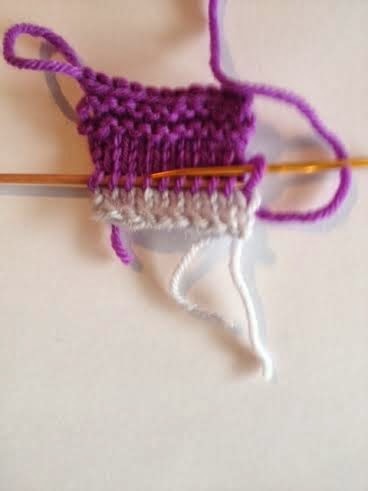 I also use one if I want to graft stitches at the top and bottom of the knitting together to create a tube. Many knitters swear by the crochet chain method. It's good, but I often hear knitters say they have problems picking up into the wrong loop which creates difficulties when they go to unzip the crochet chain. Look here for technique videos and tutorials on this method. My favourite method is the waste yarn technique. 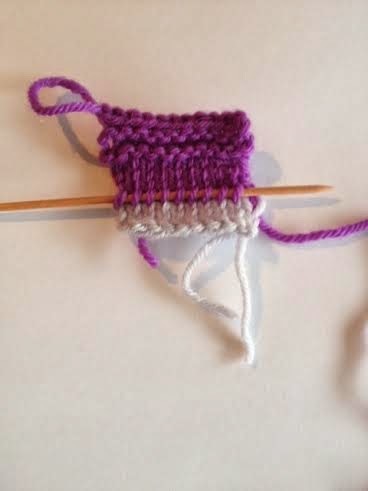 I find this method is the easiest to teach to other knitters. I used the waste yarn method often when I was machine knitting. I also used it in a hat workshop to teach grafting skills quickly. Seeing the path of the waste yarn speeds up the understanding of how to use a sewing needle to duplicate the path of the strand of yarn. I'll show you that in an upcoming post. The reason waste yarn works so well for provisional casting on is that the knitted loops which will be worked in the opposite direction are more well matched to the knitting. 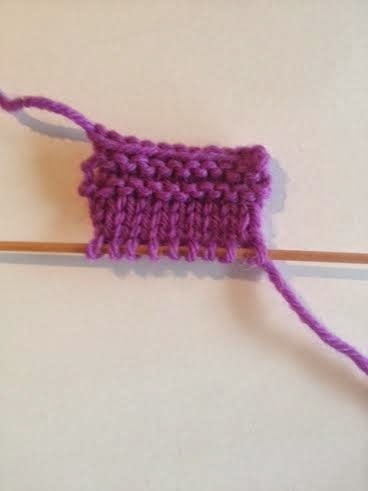 A few rows of straight knitting means the knitters gauge becomes a little more even. 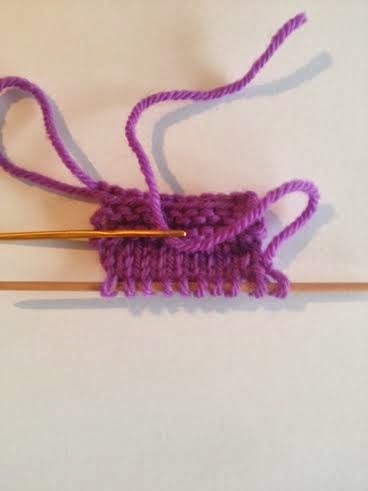 Just cast on the number of stitches required in any method you like, knit a few rows of stocking stitch and switch to your project yarn. When you are ready to go in the opposite direction use a smaller needle to catch each stitch in the first row of your project yarn. You can clip the waste yarn out either before or after catching the loops on your needle. I use a sharp pair of small scissors and cut the waste yarn and pull it out of my project yarn stitches. I cast on 10 stitches put my needle through the 9 loops that created and added the 10th stitch by putting the yarn tail on a needle and threading it at the edge of the work. 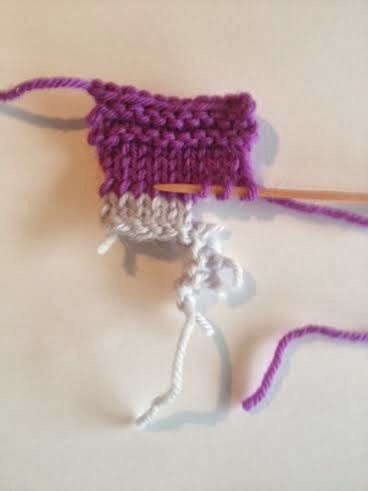 Use waste yarn of the same weight as the project yarn to maintain a matching gauge. Use a smooth yarn, to make for easy removal. Waste yarn is by far my favourite method as well. Much easier than crochet or EZ's flip flop method. I too learned it from machine knitting. 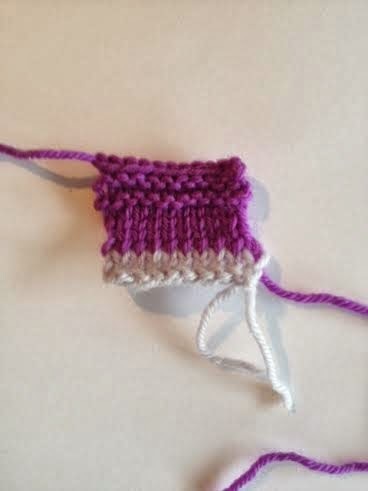 I take mine one step further and knit a row with ravel cord or dental floss. Very easy to pull out. I mean to try embroidry floss one of these days to see how it works.